Upon graduating from Binghamton University, Tanya Hollins pursued her passion to serve marginalized populations. Showcasing this, Tanya has worked at various social service agencies including Job Corps, the YWCA, and the Broome County Urban League, where she served as the Interim President/CEO for over a year. In 2000, Tanya began her career in higher education at Binghamton University. During that time, Tanya impacted the lives of many first-generation college students through her involvement with the Educational Opportunity Program and in her role as the Senior Assistant Director for Academic Programs. In 2008, Tanya began working at St. Anselm College and was soon promoted to serve as the inaugural Executive Director of the Center for Experiential Learning. In that role, she oversaw offices that served to strengthen the professional and civic development of students: The Internship Office, Office of Career Services, the Study Abroad Office and the Center for Community Engagement. Relocating to Florida in 2012, Tanya was appointed as the Executive Director of PACE Center for Girls, Hillsborough, a prevention program that serves girls at risk for delinquency. In January 2017, she was promoted to the role of Regional Executive Director, overseeing six PACE centers and serving as a member of the Senior Program Leadership Team. Often referring to her PACE girls as “at-promise” as opposed to “at-risk,” she embraces PACE’s mantra to believe in every girl until she can believe in herself. An advocate for all youth, Tanya serves as a member of the Annie Casey Florida Kids Count Advisory Board and on the Florida Juvenile Justice Association board. 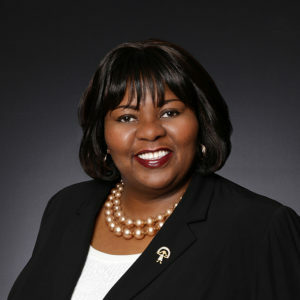 She is also an active participant on The Tampa Bay Human Trafficking Rescue and Restore Coalition and the Tampa Community Alliance Committee.